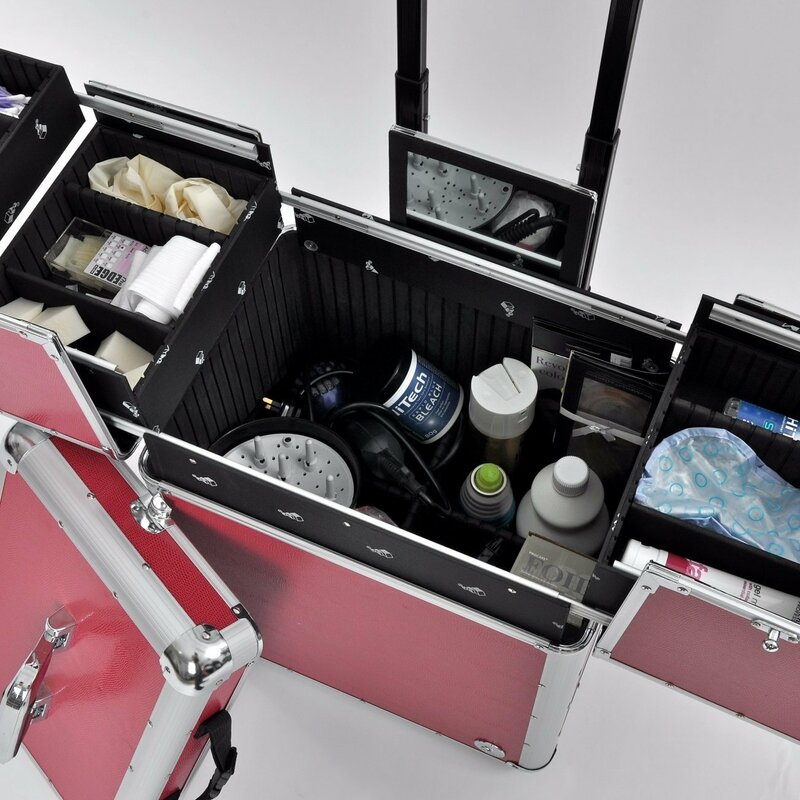 If you are a make-up mad person as I am, I doubt you never dreamt about having all your lovely cosmetics organised in a gorgeous beauty trolley. I mean, just think about having everything visible, in one safe place that is mobile. Well, I no longer have to dream. The Genoa trolley from Beauty Boxes is a “workstation on wheels” and it is suitable for make-up artists and beauticians, as well as to have at home. It’s not too big and bulky, so it sits comfortably even in homes that don’t have that much space (like mine), and because it is very pretty, it can (and should) be on show! The delivery service was exceptional – next day and I got an email on the day specifying an hour time slot for delivery, and it came 5 minutes into the slot. In all my excitement, I opened the box to find an amazingly sturdy, finished to a high standard trolley, with very smooth hinges and sliders. There are two mirrors inside and it also comes with two make-up brushes holders which can be hung on the trolley when open. The top compartments have a good depth and the bottom part too – it’s deep enough to fit hair tools. It also has a key. I fit most of my make-up in it, well, the usual suspects that is, leaving out many odds and sods, some palettes and a few products I haven’t opened yet! At the top I put my face and lip products. In the second fold of drawers I put my single eye shadows and all eye stuff. In the compartments at the bottom, I put my beloved Urban Decay palettes and bags with the other eyes, lips and face stuff I use less often. There were two empty compartments where I could put my other eye shadow palettes, skincare and/or hair dryer, straighteners, curlers and products. On top of it, when closed, I had the brush holders and my lovely Revlon mirror with lights, so the trolley is really versatile! In terms of mobility, I found it is not too heavy when loaded. The wheels are smooth, and the handle strongly built. It comes in three colours; mine, rose, a lovely bright-ish pink with a snake skin-like texture, baby pink and silver, both with a metal finish – all in 38.5cm width, 62cm height, 30cm depth and 7.4kg of fabulousness. Would I recommended that anyone that has a considerable amount of make-up and cosmetics buy one? Definitely. 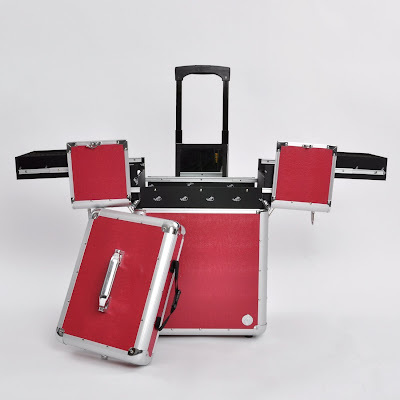 If you don’t have that much, Beauty Boxes has an exciting range of practical, durable and versatile beauty boxes and trolleys which are also very pretty and stylish, to cater for varied needs – oh, and with free delivery! That trolley is really Incredible! I think that this blog looks exactly like my old one! It’s on a completely different topic but it has pretty much the same layout and design. Superb choice of colors! 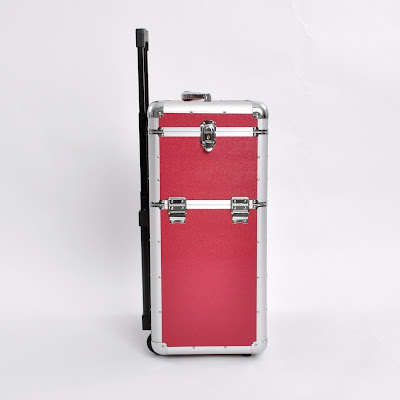 E-Liquid Box Packaging is the best solution for the shipping of E-liquid. E-juice packaging or custom vape juice boxes improve the brand value of your product in the market.